@Shteevie - please look into Server issue with Outposts today. I don't care about lost reputation, but I am trying to get enough TG to purchase gun with TG before my next restock, and this is annoying to the extreme because I'm VERY convinced its Server side. I have no connectivity issues today. 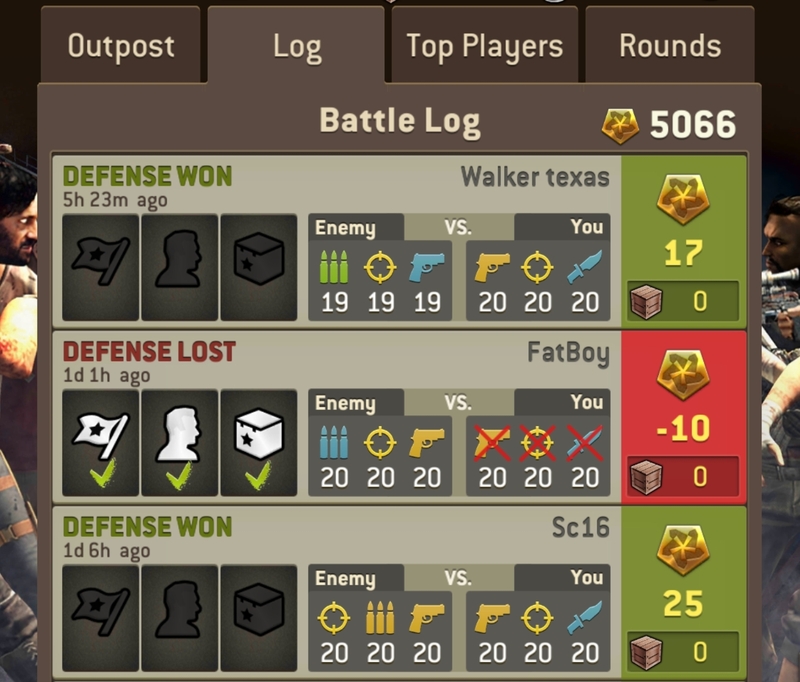 1) I safely collected the 500+ TG and completed the mission without engaging with defenders. 3) While looking for next raid I was disconnected TWICE and it was obvious it was a server side issue. 4) This was NOT a case of losing connectivity my end, and having reconnecting overlayed onto map. It was a kick from server. 5) There'd have been time for me to complete the raid again, so the automatic resolution shouldn't even have occurred. 6) Result in logss changed and TG won removed. What's happening in my Outpost? Lucky i got 17 + 25 points. 1) Either or both of them might have dumped reputation points, in the hope of getting easier raids in the future.In this case they'll have most likely used the flee optiion. 2) Alternatively they may have encountered connection issues. There are known issues which are NG's fault but this can also be issues with a player's mobile connection as well. Its impossible to work out the cause from the logs. 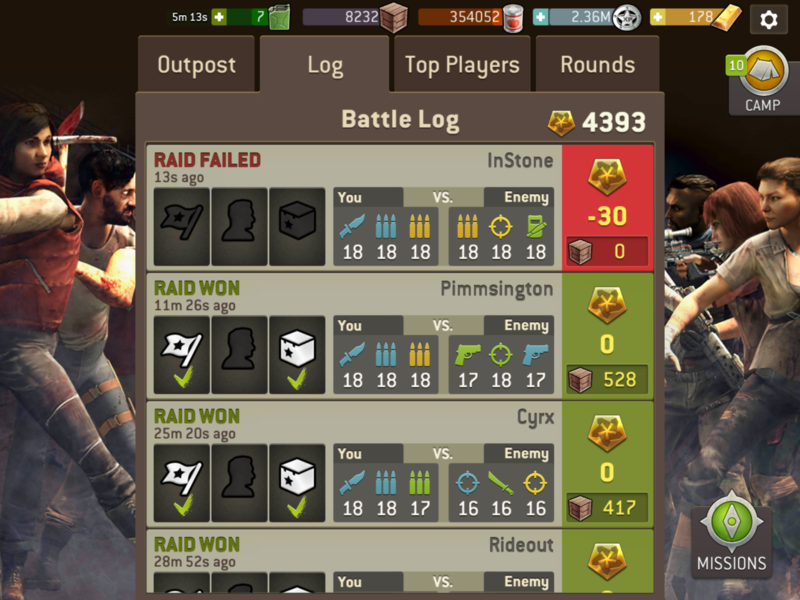 Raids can get automatically resolved when they are timed out, and that is calculated by what NG servers see, rather than what a player's device sees. I also have this intermittent problem. Wouldn’t be too much of a problem if TG were not used, but since they are, this feels really unfair. Instead of attacking, I get pushed back to my own home page. I haven't played much Outpost recently so I don't know how much of an issue this is still, from personal experience, but the first note below helps prevent it. If you are constantly being forced to home page as you describe, which I think you mean, the game reloading itself, there may be issues with your leader hero trait as well in subsequent raids, and I recommend swapping them out and back in, using the same principle as first note below, to ensure server is updated. * It should be noted that when ending a play session in all modes 9 but particularly with Outpost) to avoid disconnections before data is written to disk, I spend a while doing random activities eg radio calls, collecting supplies, swapping survivors etc). This reduces chance of this problem. ** If the game is auto resolved because it wasn't played at all, for example an urgent life task or phone call prevented playing, then there is no hospital time. Easier to double post as I'm in a hurry. @Baalos - you might be suffering a different issue to the one I reported. See report of this in link below.